I’ve been a bit quiet on my blog recently. I didn’t mean to neglect it, I’ve just been a little busy doing some tech editing and a few commissions for some of my favourite magazines – all secret but all enjoyable. Did I ever mention how I love tech editing? Sometimes it is frustrating when designers do not follow the style guides of the magazines and I end up styling as well as editing, but most of the time it is very enjoyable. I get to see some beautiful designs and make new acquaintances whilst querying the technicalities of the designs. I find everything that is new is also very inspiring. 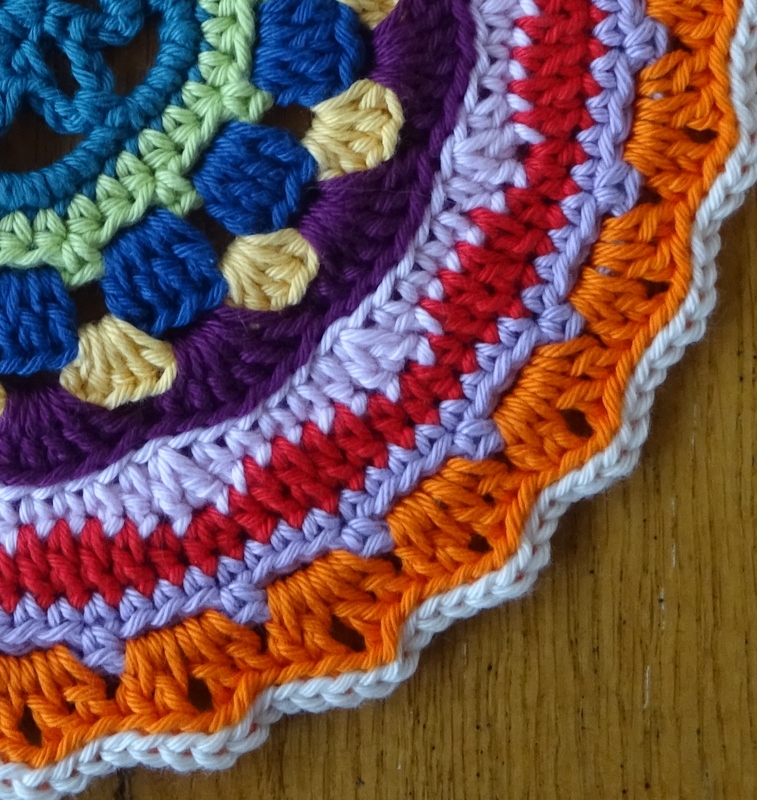 Also, I’ve been preparing for my ‘Magic of mandalas’ workshop next weekend – a 3 hour workshop on crochet mandalas; how to make them, the maths, tips and tricks and how to design your own! Still a few places left……. And, as always, I have been busy making things – so here’s something I made last week as a present. This is gorgeous bunting which I found on this blog. A joy to make and very pretty. How lovely to see my Bunting design in your blog! I’m so glad you enjoyed making it!! And Thank You so much for linking it back to my page!! How lovely to see my bunting design on my your blog! Tank you so much for linking back to my page for the pattern. I’m so glad you enjoyed making it!! I do too! And I’m just so happy that my pattern was just what you wanted! !